For more information about DalSpace, contact Ann.Barrett@dal.ca, Associate University Librarian for Scholarly Communications. SPARC (the Scholarly Publishing and Academic Resources Coalition) is a global coalition that advocates for open access, open data, and open education. They are committed to making “Open” the default for research and education. SPARC works to enable the open sharing of research outputs and educational materials with the goals of democratizing access to knowledge, accelerating discovery, and increasing the return on our investment in research and education. The Internet has changed the way we create and interact with knowledge. No longer do we have to be a world where knowledge is accessible by only the privileged few. SPARC collaborates with stakeholders—authors, publishers, libraries, students, funders, policymakers and the public. As advocates, they build on the opportunities created by the Internet to promote changes to infrastructure and culture to make research and education Open. 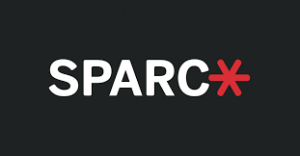 With over a decade of experience and more than 200 members that are primarily academic and research libraries in the U.S. and Canada, SPARC members use its resources and support to promote Open Access to scholarly articles, the open sharing of research data, and the creation and adoption of Open Educational Resources on their campuses. “Publishing models that restrict access to knowledge for the sake of profit limit everyone’s potential. Widespread adoption of SPARC’s Open Agenda will speed the pace of discovery, benefiting society in many ways, including medical breakthroughs, employment opportunities, and environmental solutions. As a research institution, Dalhousie has a responsibility to participate in this global movement,” said Donna Bourne-Tyson, University Librarian. DalSpace is a digital library curated by the Dalhousie Libraries. We are committed to freely and openly distributing and preserving the scholarly record. Other online document repositories (e.g. Academia.edu, ResearchGate and SSRN) are owned by commercial interests and operate as scholarly social networking sites. These are excellent online spaces to communicate with your peers; however, they are not acceptable open access repositories. These sites often appear free but their purpose is to make money. They cannot be relied upon for long-term access to scholarship. Enter your email address, and click the “register” button. This will establish your DalSpace username and password. After registering, you initiate the deposit process by sending an email message to dalspace@dal.ca with your name, DalSpace username, department/unit, and a description of the type of deposit that you or your department would like to make to DalSpace. After this initial contact, you submit content directly into the system. Go to Posting to DalSpace for more guidelines. Graduate students deposit their completed, accepted thesis into the DalSpace Faculty of Graduate Studies Online Thesis Collection. Students may deposit material into specific collections authorized by Dalhousie faculty members. Works must be vetted prior to deposit to ensure quotes from published sources are cited and permission obtained to reproduce images. Managing data is an essential, on-going part of the research process. There are many reasons to manage research data, perhaps one of the most obvious is to protect data loss from disasters, theft or technological failure. However, there are many other reasons why one would want to manage research data, including making it publicly accessible. In June 2016, the Natural Sciences and Engineering Research Council of Canada (NSERC), the Social Sciences and Humanities Research Council of Canada (SSHRC) and the Canadian Institute of Health Research (CIHR) (“the Tri-Agencies”), adopted the Tri-Agency Statement of Principles on Digital Data Management that addresses specific aspects and expectations of digital data management. The Tri-Agencies are publicly funded and one of their goals is to promote access to research results. In addition to providing greater access, other benefits include reducing duplication, encouraging reuse and advancing knowledge. In addition, this is also an opportunity to highlight Canadian researchers (Government of Canada, 2016). Even if you have data that is not funded through the tri-agencies, you may be interested in digital data management. How can the Dal Libraries help you with data management? Data management is an evolving service, but we encourage you to check out the following resources or contact us at data.management@dal.ca for assistance. Developed by the Canadian Association of Research Libraries (CARL) Portage Network, the DMP Assistant is a free tool for you to develop a data management plan. This tool will take you through the complete process from data collection to preservation to develop a solid data management plan. DalSpace: Our institutional repository, a digital service that collects, preserves, and distributes digital material produced by the Dalhousie community. Stay tuned for future updates on data repositories as we prepare to launch our version of Dataverse, a research data repository. For research funded in whole or in part by NSERC or SSHRC, this policy applies to all grants awarded May 1, 2015 and onward. While not required, researchers holding grants that were awarded prior to May 1, 2015 are encouraged to adhere to the requirements of this policy. For research funded in whole or in part by CIHR, this policy applies to all grants awarded January 1, 2008 and onward. While not required, researchers holding grants that were awarded prior to January 1, 2008 are encouraged to adhere to the requirements of this policy. Green Route (Online Repositories) – Deposit your article in an online repository. As the official repository for Dalhousie University, depositing in DalSpace fulfills this requirement. Another Green option available to scholars is to deposit your content into a subject-based disciplinary repository. The Tri-Agency recommends that scholars search OpenDOAR to determine if a site qualifies as an open access repository. Gold Route (Journals) – Publish your research in a journal that permits immediate open access to the article. Many journals charge a fee to authors to make the article open access. This fee is called an author processing fee or charge and can be included in your budget as part of your application for funding. 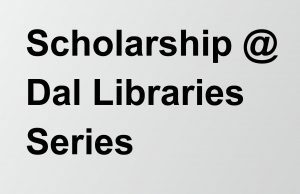 Please note that it is the responsibility of the grant recipient to determine which publishers allow authors to archive journal publications in accordance with funding agency policies. You can check the open access restrictions of many journals using Sherpa-Romeo. For additional information on author rights, including how to amend the standard author rights agreements see the Copyright tab in this guide. Open textbooks are quickly becoming a major focus for many in higher education as the financial burden of students continues to grow and the limitations of traditional commercially published textbooks become more problematic. The Chronicle of Higher Education reported in August 2011 that 70 per cent of students have not purchased a required textbook because of the price. Similarly, a 2012 survey by open online book supplier Bookboon.com showed that 76.6 per cent of post-secondary students do not always purchase the required text for their classes and most students (96.9 per cent) find textbooks too expensive. This isn’t surprising considering that textbook prices increase at a rate of more than double that of inflation. There are other shortcomings as well. Traditional textbooks and their digital surrogates often fail to take advantage of advances in technology that could enhance teaching and learning. Multimedia from external sources and local customizations are difficult, if not impossible to integrate into commercially published textbooks. This is normally the result of restrictive digital rights management (DRM) placed on textbooks by their publishers and the lack of local control over content updating and customization. What are open textbooks and how do they address the shortcomings of commercially published textbooks? They are free for anyone to view and download in an online format and can be made available in a print format at a nominal cost. An open textbook is a textbook with an open copyright license that allows the material to be freely accessed, shared and adapted with minimal restrictions. Open licenses allow instructors to adapt, remix, and customize existing open textbooks so that the content meets their own learning objectives. Many open textbooks are developed through traditional peer review, others are vetted by experts. As with any textbook, the instructor is the final judge of whether an open textbook meets the needs of the course. Where do I find open textbooks? Some sites below focus exclusively on textbooks while others include scholarly books that may serve specific curricular needs. All provide free and open access to scholarly works. AU Press – Athabasca University Press provides access to free PDFs and low-cost print versions of mainly Canadian books. BC Campus OER – BC Campus open movement including textbooks. College Open Textbooks – Lists open textbooks by subject, many of which are peer reviewed. Directory of Open Access Books (DOAB) – Scholarly peer reviewed books from 161 publishers. Open Stax – Free educational material in small modules that can be organized as courses, books, reports or other academic assignments. Knowledge Unlatched – Includes over 100 front list humanities and social science titles, supported by 380 libraries and consortia around the world. 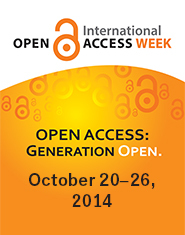 International Open Access Week runs from October 24–30. But, what is Open Access Week and why should it matter to Dalhousie students and faculty? To mark Open Access Week, the Dalhousie Libraries are presenting workshops, and a film screening with SIM faculty member Ryan Whalen. If you have a grant application that requires a data management plan and you’re not sure what’s required or where to start, this workshop is for you. We’ll use the Data Management Plan Assistant tool from Portage Network Canada for a selected case study. You’ll learn how to address the key areas of data collection, documentation and metadata, storage and backup, preservation, sharing and reuse, responsibilities, and ethics and legal compliance. This workshop is limited to 20 participants and registration is required. Contact carol.richardson@dal.ca to register. Laptops will be provided for the session. Aaron Swartz was an internet activist who committed suicide in 2013. At the time of his death, Swartz was under federal indictment after downloading many academic journal articles through the MIT computer network from JSTOR. This screning will be introduced by SIM faculty member Ryan Whalen. If you have a grant application that requires a data management plan and you’re not sure what’s required or where to start, this workshop is for you. We’ll use the Data Management Plan Assistant tool from Portage Network Canada for a selected case study. You’ll learn how to address the key areas of data collection, documentation and metadata, storage and backup, preservation, sharing and reuse, responsibilities, and ethics and legal compliance. This workshop is limited to 10 participants and registration is required. Contact erin.macpherson@dal.ca to register. Laptops will be provided for the session. This week, the Dalhousie Libraries will be doing a blog post a day on different topics related to open access, as well as hosting two events. 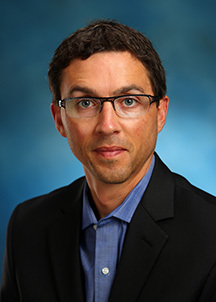 Dr. Randall Martin is a Killam Professor in the Department of Physics and Atmospheric Science and the Department of Chemistry. This fall, he was named to the Royal Society of Canada’s College of New Scholars, Artists and Scientists, one of the highest recognitions a Canadian academic can receive. Dr. Martin has published many articles, and some of his research has appeared in open access journals. 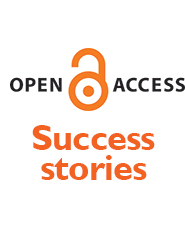 Open Access refers to the publication of scholarly research that is free to read and online. Open Access publishing models represent a fundamental shift in the economics of how scholars communicate. The prices libraries pay for scholarly books and journals have steadily increased to the point that libraries can no longer keep up. The result is that a lot of publicly funded research and writing has become inaccessible to the public and even to the academics and scholars that create this content in the first place. Open Access is an attempt to reverse this trend by changing the business model for scholarly communications. Open Access business models vary but many Open Access journals require the author to pay author processing fees; Dr. Martin pays those fees from his research grants. October 20–26 marks the globally recognized Open Access Week, a chance for academics and researchers to continue to learn about the benefits of open access and why this is an important aspect of scholarly communications. In recognition of Open Access Week, we asked Dr. Martin to share his thoughts on his experiences publishing in open access journals. “I publish in open access journals because they are easily available to a broad audience, increasing the accessibility of our research,” says Dr. Martin. When considering an open access journal to publish in, he looks at the focus area of the journal, the readership, and its reputation. “For many readers, the discoverability of individual articles is an important factor,” he says. There are somewhere between 2,000 and 4,000 science articles published each day, a staggering number for any reader to get through. “Open access publications are worth serious consideration as a way to increase visibility,” says Dr. Martin. Most scholars want their research to make an impact with both their peer group and beyond. For authors who publish in open access journals, there are many complementary social media tools that can help promote their scholarship. Dr Melissa Terras discovered that blogging and tweeting about a paper resulted in a dramatic increase in readership. To read more, see Dr Melissa Terras: open access and the Twitter effect. Subject-specific open access repositories continue to grow. Physicists have been depositing their work in arXiv for more than two decades with nearly 880,000 papers uploaded. In fields such as particle physics, nearly 100% of the content is now openly accessible. Social Science Research Network (SSRN) now holds more than 400,000 items, and PubMed Central, the medical research repository, now holds 2.8 million items. The WAC Clearinghouse has thrived for more than twenty years and publishes journals, books, and other content to support teachers who teach writing. The Public Library of Science (PLoS), founded nearly a decade ago, established a new and successful business model. All the papers appear online and are free to read and share with the costs of running the journals covered by author fees. PLoS One, an entirely web-based journal, launched in 2006, is now the largest journal in the world and publishes 23,000 articles a year.